Swami Vivekananda College of Education, Pune, Maharashtra is a part and parcel of Institute of Science, Pune and came into action to deliver every bit of their research and create a knowledgeable society. The Institute works with a mission to develop every student into a professional human resource capable of working in a dynamic environment and contribute towards the progress of the nation. The College offers both undergraduate and post graduate programme in Education. 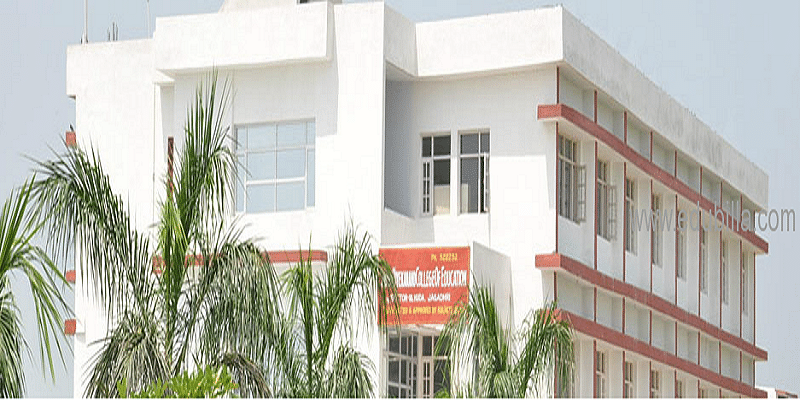 Why to Join Swami Vivekananda College of Education? Swami Vivekananda College of Education has never been out of work when it comes to appreciating students through words or monetary rewards and hence undertakes various meritorious activities and scholarship programmes such as SC Scholarship and Freeships, NT Scholarship and Freeships, OBC Scholarship and Freeships, ST Scholarship and Freeships, Handicap Scholarships, EBC Fee Facilities, PTC Fee Facilities, STC Fee Facilities, Defense and Minority Scholarship and Freeships and Krantijyoti Savitribai Phule Scholarships. The educational environment of Swami Vivekananda College of Education is equipped with all state-of-the-art facilities such as well-furnished auditorium with seating capacity of over 450 people supported by LCD projector and sound proof audio-video facilities, digitalized library with book bank facility to access 60,000 books and 100 national and international journals, an NCAA approved clearing-house for athletics and sports, hostel facilities for 120 students and National Cadet Camps to contribute towards community and student skill development programmes.